Jena Malone (Sucker Punch) has landed one of the major new roles in The Hunger Games: Catching Fire. The second installment in the trilogy has Katniss (Jennifer Lawrence), Peeta (Josh Hutcherson), and Hamish (Woody Harrelson) forced to compete with other previous winners in the 75th Hunger Games as punishment for Katniss’ defiance in the previous Hunger Games. According to THR, Malone is in early talks to play Joanna Mason, another former winner from District 7 who’s forced to compete in the new fight to the death. Mason is a fun character who wields axes and one-liners. I’ve always been a big fan of Malone, and I’m glad she’s netted such a major role in what’s certain to be one of 2013’s biggest films. We previously reported that Malone was in the mix for the role, and she managed to beat out model-turned-actress Zoe Aggeliki (R.I.P.D. ), who was tipped as the frontrunner last week. Malone is also starring in NBC’s new TV series, 1600 Penn, so she’ll have to balance her TV schedule with her shooting schedule on Catching Fire, which is scheduled to start filming in late September. 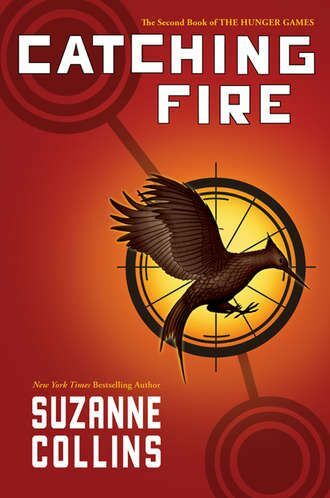 The Hunger Games: Catching Fire is due out on November 22, 2013. Hit the jump for a synopsis of the novel.